We’ve recently added some new buses to our fleet! 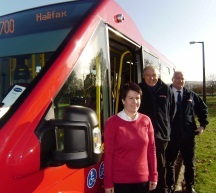 TJ Walsh has taken delivery of two Bluebird Orion Plus low floor buses to expand capacity on their Ripponden route. The company has bought two 20 seat, low floor Bluebird Orion Plus with coach back and ramped access to the front. The buses have flat floor throughout and a wheelchair area as well as luggage space. Since 1983 when T J Walsh was running shoppers in 16 seat, contract hire minibus, the company has been listening to local people and providing services which meet their specific needs in this hilly part of Yorkshire. By 1994 the company was running public services to and from Halifax town centre. The company now runs 12 routes covering approximately 20 square miles from Illingworth in the north to Ripponden and Brighouse. There are currently 247 Bluebird Orion Vehicles on the road in the UK. 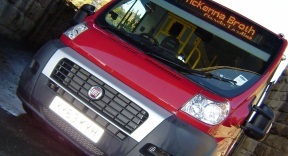 The minibus sells to NHS and council services as well as bus operators who benefit from the fuel economy it offers on high frequency or low volume routes.